Malnutrition Awareness Week takes place from Sept. 28 to Oct. 2. For the past few decades, evidence of America’s battle against obesity has been everywhere. It has galvanized health care professionals and researchers into action, instigated new government programs and served as a hot topic in the media. But more recently, another battle that is just as crucial to the health and wellbeing of millions of Americans has started to gain attention. Myth: All Americans have access to a good food supply. Simply put, malnutrition is imbalanced nutrition, whether it’s an imbalance in protein and caloric intake or in vitamin and mineral intake. Unfortunately, many Americans live in environments that are conducive to imbalanced nutrition. According to a 2011 report by the Centers for Disease Control and Prevention, Richmond County alone has six food deserts, defined as areas that lack access to affordable, healthy foods. People living in such areas may struggle with maintaining balanced nutrition, which can ultimately lead to nutrient deficiencies and even malnutrition. Although poor food accessibility is a risk factor for malnutrition, it is actually not the primary one. This leads to another common misconception about malnutrition. Myth: Food insecurity is the main culprit in malnutrition. This may be true in parts of the world where food insecurity is widespread rather than isolated in food deserts. In the United States, however, injury and illness are the major contributors to malnutrition. Those of us who work in a hospital setting know that malnutrition is prevalent among those struggling with various chronic illnesses, including cancer, liver cirrhosis, kidney disease and severe gastrointestinal disorders to name just a few. Malnutrition is also not uncommon among patients with major trauma and injury. In fact, studies have shown anywhere from 20-50 percent of hospitalized patients are malnourished. The development of malnutrition is often multifactorial. These patients have increased protein and caloric needs due to chronic inflammation, wounds, malabsorption and hypermetabolism. At the same time, food intake tends to be poor due to food intolerances, inability to prepare foods or feed oneself, chewing and swallowing difficulty, depression or a combination of these factors. Over an extended period of time, these factors can ultimately result in malnutrition. Myth: Malnutrition is easy to recognize. Many people visualize malnutrition as wasting and atrophy to the point of a skeletal appearance, but malnutrition is rarely so obvious or dramatic. In fact, malnutrition can occur in people who are normal weight and overweight as well as those who are underweight. Diagnosing malnutrition requires physical examination to look for muscle and fat loss in certain areas of the body as well as a thorough assessment of body weight history, nutrient intake, gastrointestinal symptoms and functional capabilities. There is no foolproof lab test that acts as a marker for malnutrition, making the condition even harder to recognize. Myth: Malnutrition is easy to treat. Recommending increased food intake is rarely sufficient for treating malnutrition. As mentioned previously, most malnourished individuals already face many obstacles to meeting their nutrient needs. The challenge may be even greater if the malnourished individual lives in a food desert with poor access to healthy foods. It takes a multidisciplinary team to develop a nutrition plan appropriate for a malnourished patient, execute the plan and monitor progress. Some malnourished patients may require artificial nutrition support, which can be given through feeding tubes or as an intravenous infusion. In other cases, a malnourished individual may need to change the types of foods they are eating rather than the amount. There is hardly ever a simple, one-time solution for malnutrition. Just as malnutrition takes time to develop, it also takes time and effort to resolve. 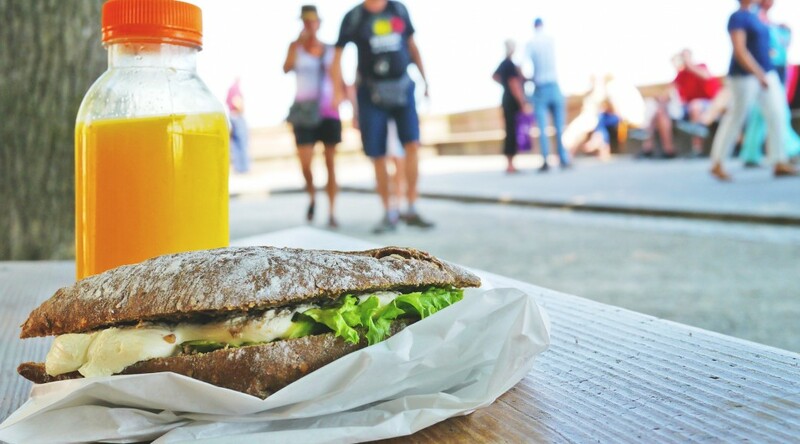 Good nutrition is a vital aspect of recovery and healing, but it can also be very difficult to maintain for those dealing with illness and injury. This presents a challenge for these individuals as well as the family members and health care professionals caring for them. The first step to addressing the challenge is awareness of malnutrition and its risk factors and recognizing its presence within our own community. Malnutrition is a burden to those who struggle with it, but the good news is that with the right plan of care, it can be managed and even reversed. In many cases, food and nutrition can truly act as medicine by improving quality of life, restoring strength and functional capabilities and aiding healing and recovery. The challenge is real, but in Augusta and across the country our health care professionals are equipped better than ever to help patients and their families meet it. Carly Moss is an inpatient clinical dietitian at GRHealth where she works with a variety of patient populations. Her interests include nutrition support therapy, nutrition in critical illness, and education. She was recently voted Preceptor of the Year for the Augusta Area Dietetic Internship. Organized by Dr. Esteban Celis, GRU professor of Biochemistry and Molecular Biology, Dr. Samir N. Khleif, director of the GRU Cancer Center, and Dr. Zihai Li, chair of the department of Microbiology & Immunology at the Medical University of South Carolina, the one-day conference was part of a series of “Advances in Cancer Immunotherapy” regional programs presented by leading cancer authorities across the country. Designed specifically for members of the traditional cancer immunotherapy treatment team, these programs provide an understanding of basic immunology principles in the clinical application and management of cancer immunotherapy. During presentations, emerging drugs and concepts in the cancer immunotherapy field are also typically discussed. The event continues until 4 p.m. in the Health Sciences Building, Room 1204. A list of panels can be found here. In hosting this event, the GRU Cancer Center has once again propelled Augusta into the ranks of other prestigious cancer research destinations across the United States, sharing the spotlight with cities such as Chicago, Los Angeles and Princeton, New Jersey. Earlier this month, The GRU Cancer Center made another big splash when The Community Foundation for the CSRA donor-advised fund Press On donated $2.5 million to fund pediatric cancer research and treatment at GRU. To read more about that donation, click here. According to the National Cancer Institute, today, 12.4 percent of all women born in the United States will likely be diagnosed with breast cancer at some point in their lives. Roughly 1 in 8 women, then, are projected cancer patients before they ever take their first breath. Something about that doesn’t seem fair. Thankfully, a group of GRU music students feels the same way. 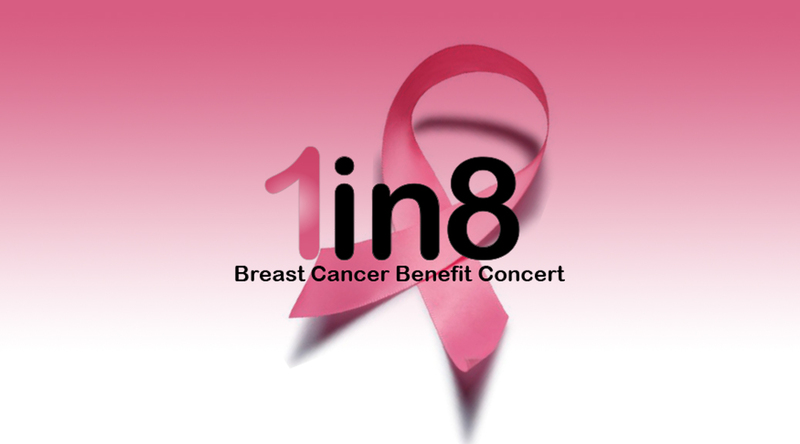 On Saturday, Sept. 26, Jukebox Entertainment, a full-service music company founded by GRU music students, is sponsoring the “1In8 Breast Cancer Benefit Concert” to raise local breast cancer awareness. The concert will be held from 6-9 p.m. at the D. Douglas Barnard Jr. Amphitheatre on the Summerville Campus. Proceeds benefit the GRU Breast Cancer Program and the GRU Cancer Center Breast Cancer Support Group. The concert line-up includes performances from a number of local and regional favorites, including the John Dunn Band, Nefertiti and Custer’s Last Band, with more acts to be announced at a later date. Portman’s Music will provide the sound system and Department of Pathology Business Manager Celvin Mitchell will emcee. In addition to the show, during set changes, breast cancer patients and survivors will share a brief glimpse about their cancer journey in a segment titled “In Her Own Words.” The GRU Cancer Center and the GRU Women’s Breast Center will also have educational materials on hand. This event is open to the public, and donations are more than welcome! For more information about the 1In8 Breast Cancer Benefit Concert, contact Chavone Hollimon at chollimon@gru.edu or 706-446-5122. 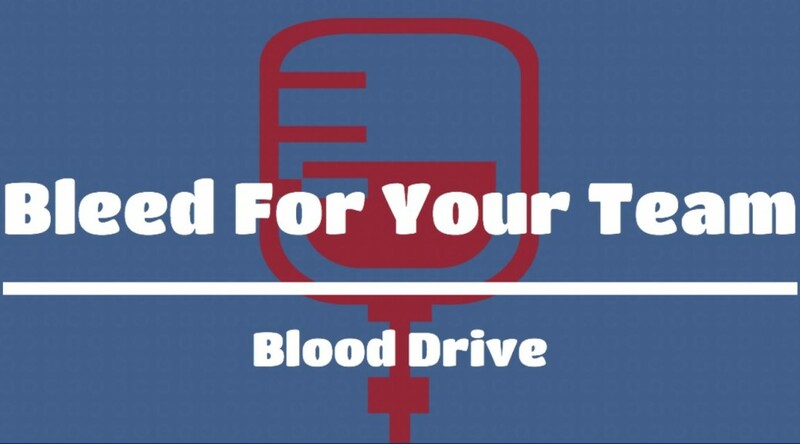 Bleed for your Team: Wednesday Blood Update! On Sept. 1, the Medical College of Georgia and the College of Dental Medicine undertook a mighty challenge – one, we might add, that isn’t for the faint of heart. Which college, they asked, could donate the most blood? Now the question stands: Will the nation’s 13th-oldest medical school edge out a victory over the young dental upstarts? Or will bright smiles and fluoride pave the way to glory? Click here to see #TeamMCG and TeamCDM’s standings as of September 4. To get your own blood into the game, simply visit Blood Donor Services in room BI1200, located on the first floor of the main hospital, and tell them you want to give to Team MCG or Team CDM. Remember, when the challenge is donating blood, no matter who loses, everyone wins. Children’s Hospital of Georgia is the highest performing children’s hospital in the nation in quality and safety. When pediatric patient care at CHOG is compared to that provided at 122 peer hospitals across the country – Augusta’s only children’s hospital ranks at the top. According to the latest Quality and Safety Management Report from the University HealthSystem Consortium – an alliance of the nation’s leading nonprofit academic medical centers, CHOG ranks first in pediatric care for all of 2014 in an Agency for Healthcare Research and Quality (AHRQ) integrated measure on pediatric quality. The 154-bed not-for-profit Children’s Hospital of Georgia is the second-largest children’s hospital in the state, providing the highest level of pediatric critical care and neonatal intensive care, as well as a wide range of general and complex health care for children. Donations help fund the many resources needed to enhance and maintain the quality of care children receive – from the smallest bandage to the most precise surgical instruments. 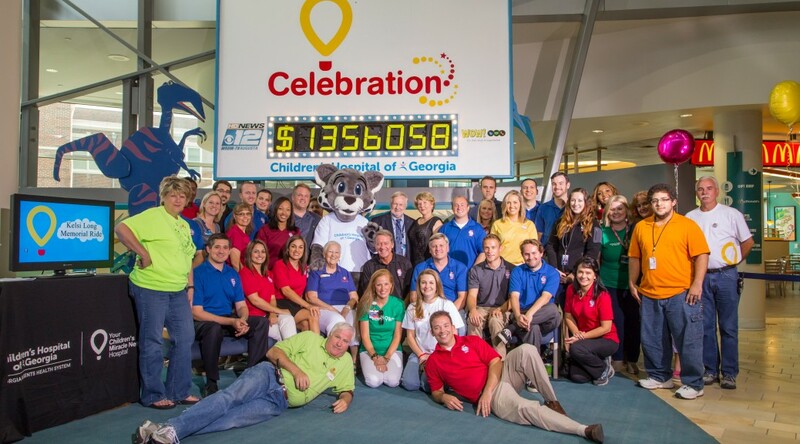 The 2015 Children’s Miracle Network Hospitals broadcast celebrated a record-breaking $1,356,058 in donations for Children’s Hospital of Georgia. 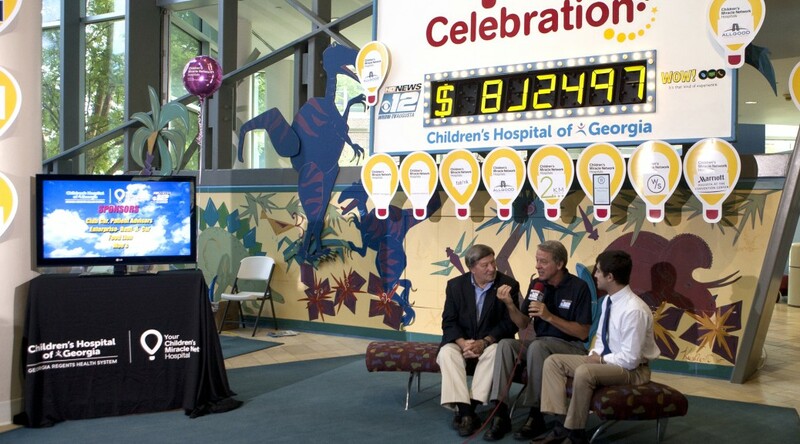 The local Children’s Miracle Network Hospitals Celebration, which aired from noon to 6:30 p.m. Sunday, Aug. 23, on WRDW-TV News 12, celebrated a record-breaking $1,356,058 in donations to benefit the services and programs at Children’s Hospital of Georgia, the area’s only children’s hospital. The total represents an accumulation of all CMN Hospitals fundraisers, campaigns, and other donations in 2014 to the children’s hospital from various supporters and partners, as well as new pledges and donations raised over the weekend through a telethon. This was the first CMN Hospitals Celebration for new Georgia Regents University President Dr. Brooks Keel. The 154-bed CHOG is the second-largest children’s hospital in the state, providing the highest level of pediatric critical care and neonatal intensive care, as well as a wide range of general and complex health care for children. A not-for-profit, CHOG relies on community support to provide patient care services to children and families and has been a beneficiary of CMN Hospitals since 1986. About $906,000 was raised for CHOG through CMN events last year. Before this year’s record, the highest year of donations was close to $915,000 in 2013. Patients, families, employees and friends will Beat Feet for ALS at 8 a.m. Saturday, Sept. 26, at Augusta’s Riverwalk in an effort to raise money for the GRHealth ALS Clinic. This annual fundraising walk posted a record year in 2014, pulling in almost $145,000 in donations, perhaps driven in part by the popularity and timing of the ice bucket challenge – a unique dare that several Georgia Regents University leaders participated in to raise financial support for ALS. But much more funding is needed, says ALS Clinic Director Dr. Michael H. Rivner, in order to explore better treatments and improve the quality of life for patients with this debilitating disease that kills most patients within two to five years. But effects of the disease vary, and many people can live with quality in their last years with the help of nationally accredited clinics like the one at Georgia Regents Medical Center. The clinic, which opened in 2004 through a partnership between the Georgia Regents Neuroscience Center and the ALS Association of Georgia, takes a multidisciplinary and coordinated approach to patient care. Instead of scheduling multiple appointments and trips, patients are able to see neurologists; nurses; physical, occupational and speech therapists; social workers; dietitians; respiratory therapists; and equipment specialists all on the same day. This is especially helpful for ALS patients because of diminishing mobility. The Georgia Regents ALS team sees patients on the second Friday of each month in Augusta and the fourth Friday of each month at a satellite clinic in Macon. They assess disease progression, functional status, family concerns, and equipment, transportation and referral needs. In addition, family and caregiver training and support are incorporated into the time spent with each patient. It could cost as much as $250,000 a year to treat just one patient with ALS, so fundraising dollars are financing medical equipment and therapies – often not covered by health insurance – such as wheelchair ramps, home modifications and speech and breathing assistance devices. Funds are also used to purchase gas cards and other items for patients and families who are under financial strains due to ALS. In addition, donations are supporting several vital research efforts, including a clinical trial of a new ALS drug that follows disease progression and a study on ALS antibodies. Funds raised from the Beat Feet for ALS Walk also support programs administered by the ALS Associations of Georgia and South Carolina and the Muscular Dystrophy Association for patients and families affected by ALS. To register for the walk or make a donation, visit walk.ALSGRU.com or contact Brandy Quarles at bquarles@gru.edu or 706-721-2681. You can also make a donation directly to the Georgia Regents ALS Clinic on the website or make a check payable to ALS Clinic (Fund 1078) and mail it to 1120 15th St., BP-4390, Augusta, GA 30912. ALS, or amyotrophic lateral sclerosis, is more commonly known as Lou Gehrig’s disease, named for the late first baseman and power hitter for the New York Yankees. Gehrig was stricken with the neurodegenerative disease that causes muscular atrophy and forced into retirement at age 36. It claimed his life two years later. About 6,000 people are diagnosed with ALS each year. The GRHealth ALS Clinic cares for about 150 patients between the Augusta and Macon locations. Two proteins that share the ability to help cells deal with their trash appear to need each other to do their jobs and when they don’t connect, it appears to contribute to development of Parkinson’s disease, scientists report. Much like a community’s network for garbage handling, cells also have garbage sites called lysosomes, where proteins, which are functioning badly because of age or other reasons, go for degradation and potential recycling, said Dr. Wen-Cheng Xiong, developmental neurobiologist and Weiss Research Professor at the Medical College of Georgia at Georgia Regents University. Inside lysosomes, other proteins, called proteases, help cut up proteins that can no longer do their job and enable salvaging of things like precious amino acids. It’s a normal cell degradation process called autophagy that actually helps cells survive and is particularly important in cells such as neurons, which regenerate extremely slowly, said Xiong, corresponding author of the study in The Journal of Neuroscience. Key to the process – and as scientists have shown, to each other – are two more proteins, VPS35 and Lamp2a. VPS35 is essential for retrieving membrane proteins vital to cell function. Levels naturally decrease with age, and mutations in the VPS35 gene have been found in patients with a rare form of Parkinson’s. VPS35 also is a critical part of a protein complex called a retromer, which has a major role in recycling inside cells. Lamp2a enables unfit proteins to be chewed up and degraded inside lysosomes. If the two sound like a natural couple, scientists now have more evidence that they are. They have shown that without VPS35 to retrieve Lamp2a from the trash site for reuse, Lamp2a, or lysosomal-associated membrane protein 2, will be degraded and its vital function lost. When the scientists generated VPS35-deficient mice, the mice exhibited Parkinson’s-like deficits, including impaired motor control. When they looked further, they found the lysosomes inside dopamine neurons, which are targets in Parkinson’s, didn’t function properly in the mice. In fact, without VPS35, the degradation of Lamp2a itself is accelerated. Consequently, yet another protein, alpha-synuclein, which is normally destroyed by Lamp2a, is increased. Alpha-synuclein is a major component of abnormal protein clumps, called Lewy bodies, found in the brains of patients with Parkinson’s. “If alpha-synuclein is not degraded, it just accumulates. If VPS35 function is normal, we won’t see its accumulation,” Xiong said. Conversely, when MCG scientists increased expression of Lamp2a in the dopamine neurons of the VPS35-deficient mice, alpha-synuclein levels were reduced, a finding that further supports the linkage of the three proteins in the essential ability of the neurons to deal with undesirables in their lysosomes. Without lamp2a, dopamine neurons essentially start producing more garbage rather than eliminating it. Recycling of valuables such as amino acids basically stops, and alpha-synuclein is free to roam to other places in the cell or other brain regions where it can damage still viable proteins. The bottom line is dopamine neurons are lost instead of preserved. Brain scans document the empty spaces where neurons used to be in patients with neurodegenerative diseases such as Parkinson’s and Alzheimer’s. One of the many problems with treatment of these diseases is that by the time the empty spaces and sometimes the associated symptoms are apparent, much damage has occurred, Xiong said. Putting these pieces together provides several new, early targets for disease intervention. “Everything is linked,” Xiong said. Dopamine is a brain chemical with many roles, including motor control, and patients with Parkinson’s have a loss of the neurons that secrete this neurotransmitter. At least in mice, VPS35 is naturally expressed in dopamine neurons in areas of the brain affected by Parkinson’s. Xiong and her colleagues reported in 2011 that reduced expression of VPS35 enables activity of the dormant-in-healthy-adults protein BACE1 to increase along with accumulation of the brain plaque that is a hallmark of Alzheimer’s. Xiong said then that impaired VPS35 function likely also was a factor in Parkinson’s. In a definite vicious circle, trash starts overwhelming the brain cell’s natural garbage disposal system. Proteins start getting misfolded and dysfunctional, potentially destructive proteins such as BACE1 and Lamp2a end up in the wrong place and get activated/inactivated, while good proteins get chopped up and/or bad proteins accumulate. Parkinson’s disease is characterized by uncontrolled shaking, an unstable gait and cognitive loss. The research was funded by the National Institutes of Health and the Department of Veterans Affairs. 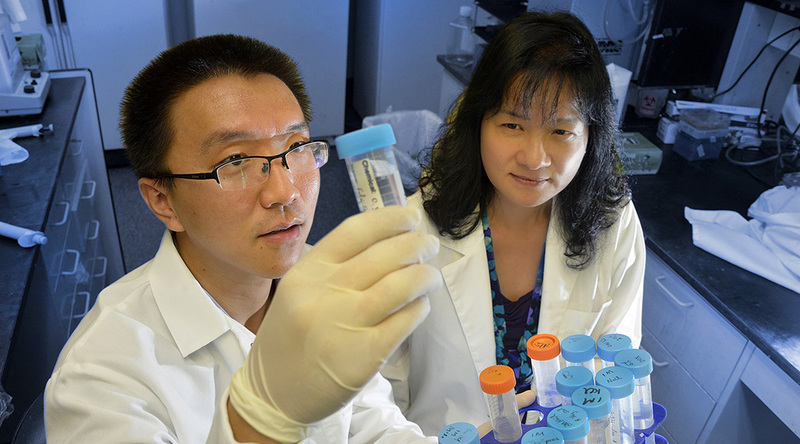 Postdoctoral Fellow Dr. Fulei Tang is the study’s first author. The 2015 CMN Hospitals Celebration airs live from the lobby of the Children’s Hospital of Georgia from noon to 6 p.m. Sunday, Aug. 23 on WRDW-TV News 12; it will also be streamed live on wrdw.com. AUGUSTA, Ga. – It’s hard to have a positive outlook on life when you’ve had two dozen surgeries from birth to age 7, but Avery Stoll of Evans is a fighter. Avery Stoll has already had 24 surgeries, and she’s just 7 years old. Donations to the not-for-profit Children’s Hospital of Georgia help make miracles possible for patients like Avery. Avery’s spinal cord failed to develop properly when she was in the womb, so she battles spina bifida and a myriad of other maladies, including speech and bladder issues. This bright young girl – who physicians predicted would not survive childbirth – sees 17 different pediatric specialists and still baffles them by how far she’s come. She enjoys camping, karaoke, and swimming, and she bowls and dances from her wheelchair. She has more makeup than the average adult female, and she willingly gives makeovers upon request. 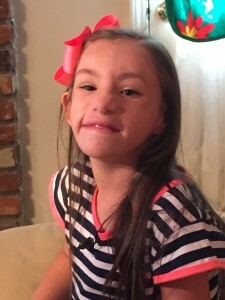 You can hear more of Avery’s remarkable story and other miracle stories on Sunday, Aug. 23, as the 30th annual Children’s Miracle Network Hospitals Celebration broadcasts live from noon to 6 p.m. in the lobby of the Children’s Hospital of Georgia on WRDW-TV News 12. This special event celebrates the funds raised this year by partners and donors to benefit programs and services at CHOG, the area’s only children’s hospital. In addition, hospital staff, local volunteers and celebrities from News 12 will man the WOW-provided phone bank, accepting donations for the hospital during the fundraiser. The CMN Hospitals broadcast will include video tours of the hospital; conversations with patients, donors and staff; and recognition of committed partners and supporters. Viewers also will get a first-hand look at the specialized care found only at CHOG and hear volunteers, supporters, and staff as they recall 30 years of incredible miracles in pediatric care in Augusta. Telethon officials celebrated more than $906,000 in donations, pledges and fundraising events that took place throughout 2014. Organizers hope to surpass that number this year. For more information on the broadcast, visit wrdw.com/community/cmn. To make a donation to the Children’s Hospital, call 706-922-5437 (KIDS) or toll free at 866-412-5437 (KIDS), or visit giving.gru.edu/telethon. 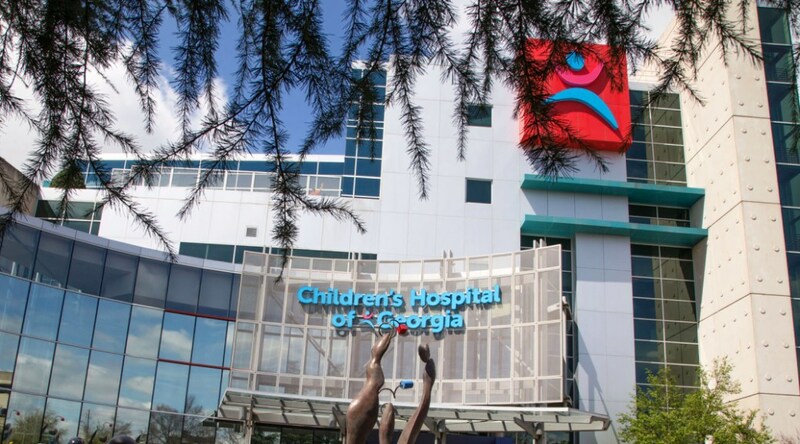 The 154-bed not-for-profit Children’s Hospital of Georgia is the second-largest children’s hospital in the state, providing the highest level of pediatric critical care and neonatal intensive care, as well as a wide range of general and complex health care for children. Donations help fund the many resources needed to enhance and maintain the quality of care children receive – from the smallest bandage to the most precise surgical instrument. CHOG has been a beneficiary of CMN Hospitals since 1986. Children’s Miracle Network Hospitals® raises funds for 170 children’s hospitals across the United States and Canada, which, in turn, use the money where it’s needed the most. When a donation is given it stays in the community, helping local kids. Since 1983, Children’s Miracle Network Hospitals has raised more than $5 billion, most of it $1 at a time. These donations have gone to support research and training, purchase equipment, and pay for uncompensated care, all in support of the mission to save and improve the lives of as many children as possible. Learn more at CMNHospitals.org. 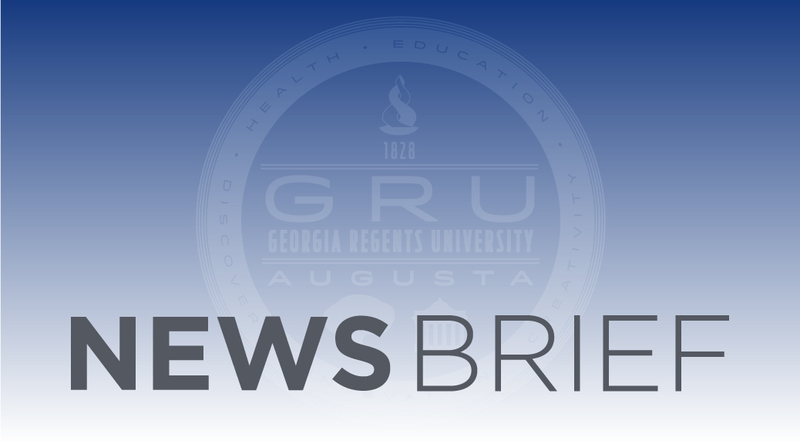 There will be a meeting of the Audit, Compliance, and Enterprise Risk Management Committee of the Medical College of Georgia Physicians Practice Group Foundation, doing business as Georgia Regents Medical Associates, at 2 p.m. Aug. 26 in Georgia Regents University’s Annex I building, room HS-3135. For more information, contact Clay Sprouse as contact, 706-721-2661.